In theory, we suppose this can be helpful. People might get a kick out of a cheap promotional item, and it might even leave them with a certain fondness, though it is hard to imagine that fondness is anything but fleeting. For Cozy Coverz, flimsy promotional items have never even been a consideration. Our customized blankets work for businesses looking to promote themselves because they are not only useful, they're durable. Without spending too much money, a company of any size can procure branded promotional items that will actually benefit customers. This kind of high-quality promotional item will have a longer lasting effect on customers. Business gifts don't have to be useless junk. This is one of our main missions at Cozy Coverz. 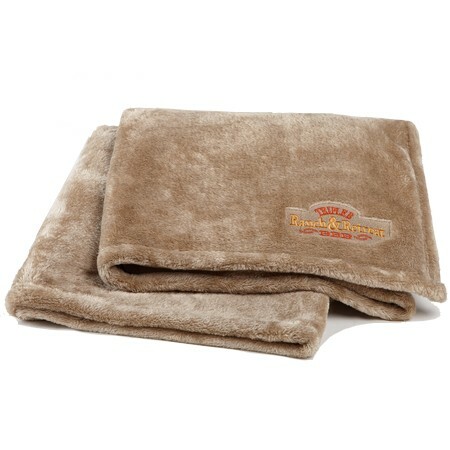 Offering businesses our fleece blankets in bulk is a chance to purchase something customers will want to keep for years. The results will strengthen relationships with customers, making them loyal, permanent customers.